Think Leggo’s is Italian? Nope. Their heritage is Cornish. 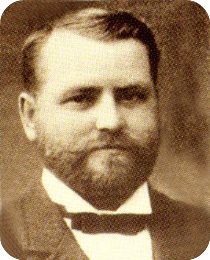 Henry Madren Leggo was the son of Cornish immigrants who arrived in Victoria’s goldfields during the gold rush. 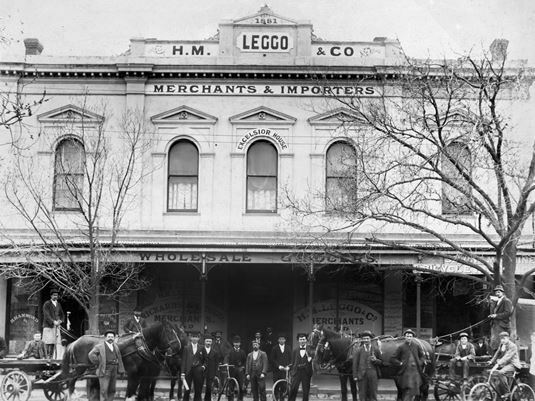 In 1894, he bought the Bendigo grocery distribution and manufacturing business where he’d worked since 1882. The company is now owned by American giant Simplot. 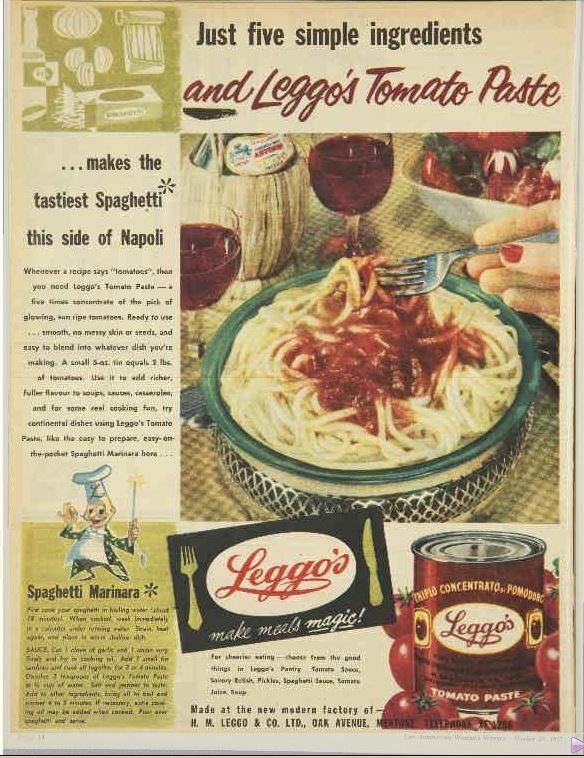 The Simplot website gushes “Leggo’s is proud of its fine Italian traditions and has been a part of Australian cuisine since 1894.” Well Henry Leggo may, as the Leggo’s website claims, have sold his mother’s sauces and pickles to hungry miners in the gold rush town. But there was nothing Italian about them. Leggo is a Cornish name, common in the towns of Penzance and St Just. Henry’s father was a Cornwall-born miner, attracted to the Victorian gold fields. In fact, there’s some doubt as to whether the products subsequently sold by H. M . Leggo & Co. had anything to do with Henry’s mother. The business was well-established before he took over, being founded in 1881 by Frederick Rickards. Henry began working there soon afterwards, became a partner six years later, then bought the business and gave it his name. As well as manufacturing vinegars, sauces, pickles, soup, cordials, jams and other grocery goods, Henry bought a coffee, tea and spice business. He later closed the coffee business to concentrate on condiments, preserves and canned foods. In 1925 and 1926, Leggo’s Tomato sauces were awarded first, second and third prizes and Champion gold medals at the Bendigo Show. As freight charges for tinplate and finished goods became higher, Leggo’s processing operations were transferred to a new factory in Abbotsford, Melbourne. Products in the 1930s included “exclusive sugar processed pickle, vine-ripened tomato soups and sauces, baked beans and spaghetti with tomatoes.” Henry died in 1937. The brand had a series of ownership changes in the corporate merry-go-round of the 1990s. 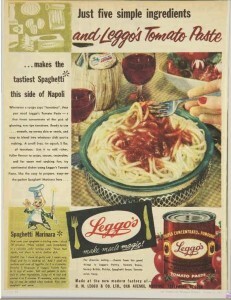 In 1995, Leggo’s was acquired by Simplot Australia, a newly-formed subsidiary of the American J R Simplot Company. The Italian myth persists with “Leggo’s authentico” now registered as a trade mark. Pity they don’t still make tomato sauce. It would go well with Cornish pasties.